Like every used tool I’ve purchased in Oregon it had a good patina or what some call rust. The picture doesn’t show it, but most of the japanning had started to fall off as well. First, I start with stripping off all the old paint. For this I used paint stripper, which is my new least favorite task when restoring a tool. I thought about letting my electrolysis bath strip the japanning off but I wanted to keep the nameplate on the side in tact and it was attached with rivets that didn’t want to come out easily. After all the paint was stripped I used a degreaser on all the parts. I then took them out to my “paint booth”. For the spray paint I used duplicolor engine enamel. I’ve seen this recommended as a japanning replacement and I have to say it looks quite good. From what I can gather from looking at a few pictures of how the mitre box would have looked originally, the back face of the mitre box would have been painted with a silvery/aluminum paint. I played around with a few different spray paints, but nothing looked quite right. In the end, I decided to leave the back as bare metal with some BLO on the rough parts to darken them up to give a little more contrast with the machined pieces. For the small parts I soaked them in evaporust and polished some with abrasive pads. To clean up the saw plate I first used a razor blade to remove the heavy rust, then sanded it using mineral spirits, a sanding block and more abrasive pads in varying grits. For a more detailed explanation of the process see the Saw Blog entry on cleaning up a saw plate. To clean up the saw handle I first sanded off all the old finish with some 120 grit sand paper. I then sanded with 220 and then abrasive pads. For a finish, I did two coats of boiled linseed oil(BLO) and french polished with amber shellac. 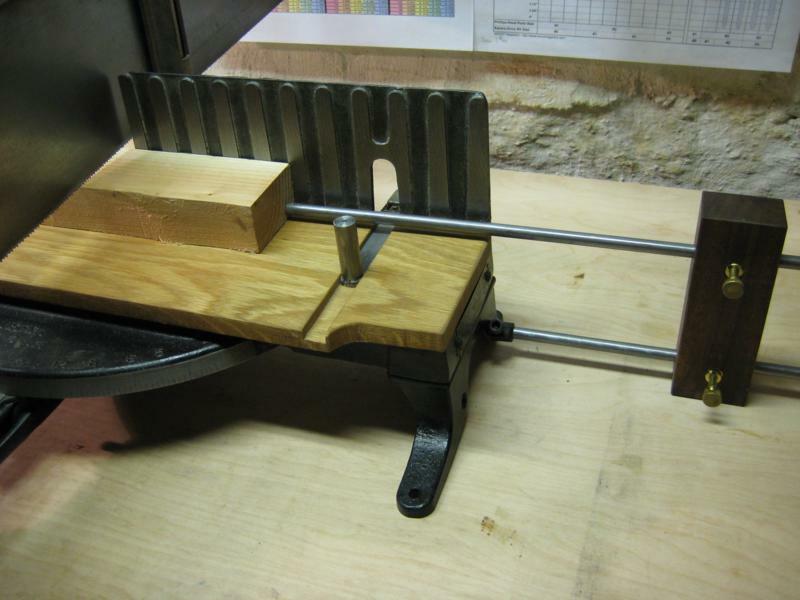 For applying the shellac I used a technique outlined by Sauer & Steiner who make beautiful infill planes. For more information on these pieces go to ToolTrip and click on “Stanley Tools” and then go to the mitre box section. The frame board wasn’t missing but the one it came with was in pretty rough condition. 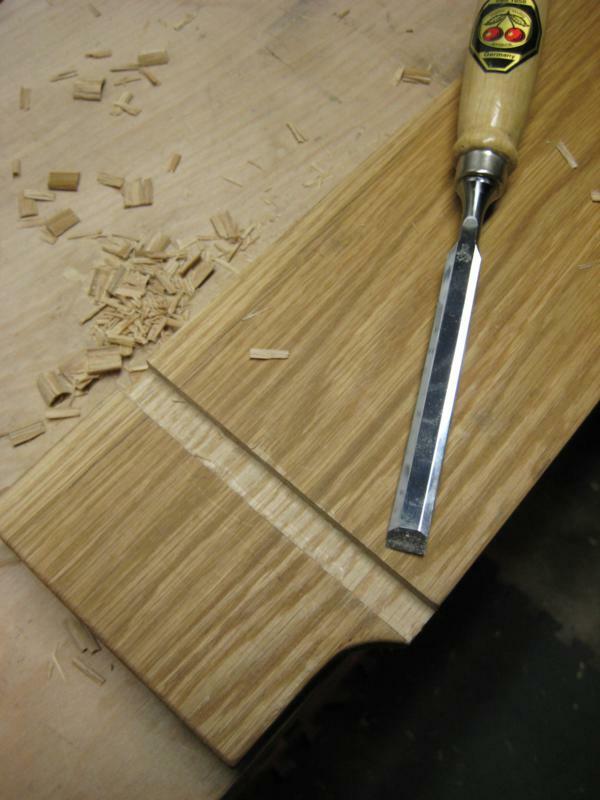 For a replacement I used some 1/4″ thick oak scrap that I trimmed to size using the old one as a template. To make the slots for the stock guides I first sawed edges then chipped out the material in between. I also had to chamfer the back bottom edge of the board so it matched the iron frame. It was finished with two coats of boiled linseed oil. The crossbar is relatively easy to replace for my version, its just a piece of 1/8″ thick by 1/2″ wide flat steel bar that is long enough to span the gap when the two guide posts are farthest apart. I used the leftovers to make stock guides below. This bar can be seen in the final picture. 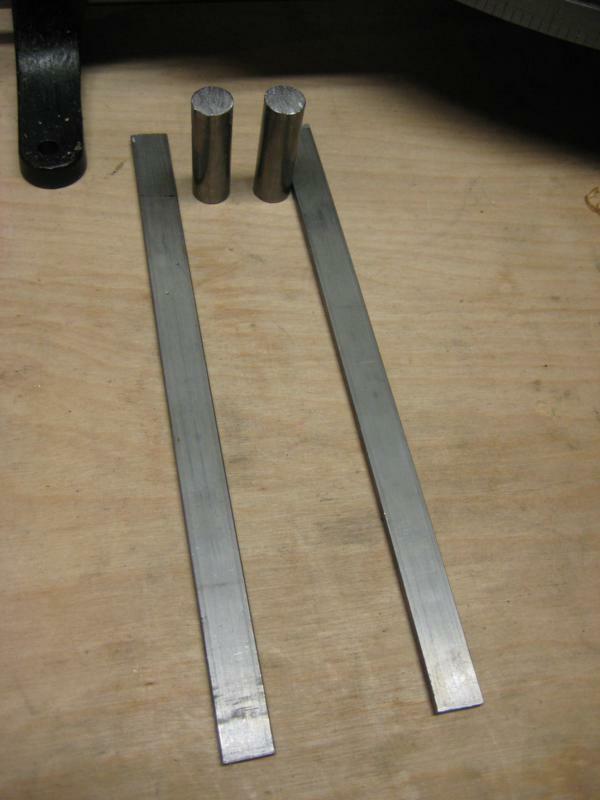 For the stock guides I used some of flat bar left over from the crossbar and some 1/2″ diameter steel rod. I’m not sure on the original dimension of these pieces so I just cut them to lengths that made sense for my mitre box. 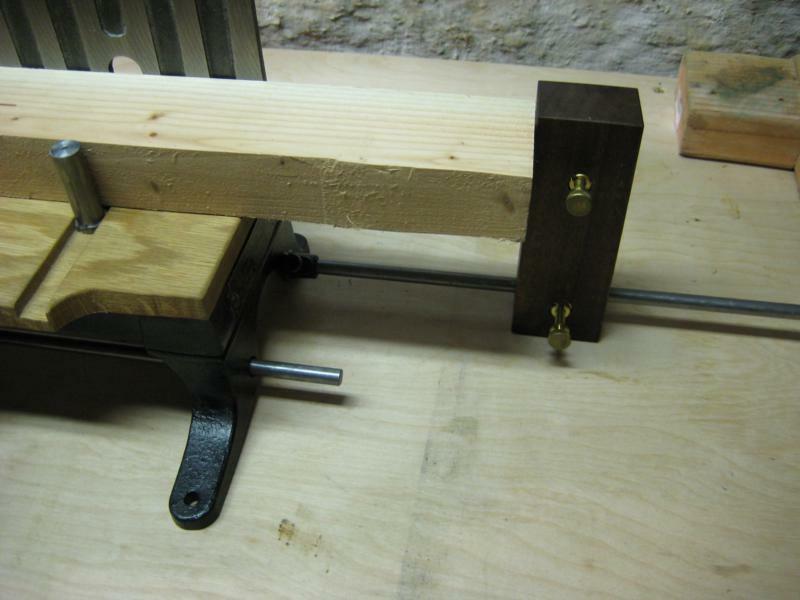 For the bar, I cut it long enough to go all the way to edge of the frame which was around 8″. I may cut them down a bit in the future because it seems a little too long. The steel rods were cut just tall enough to fit under the opening in the back while on top of the bars. For all the pieces I used a hacksaw and then cleaned up them up with a file. 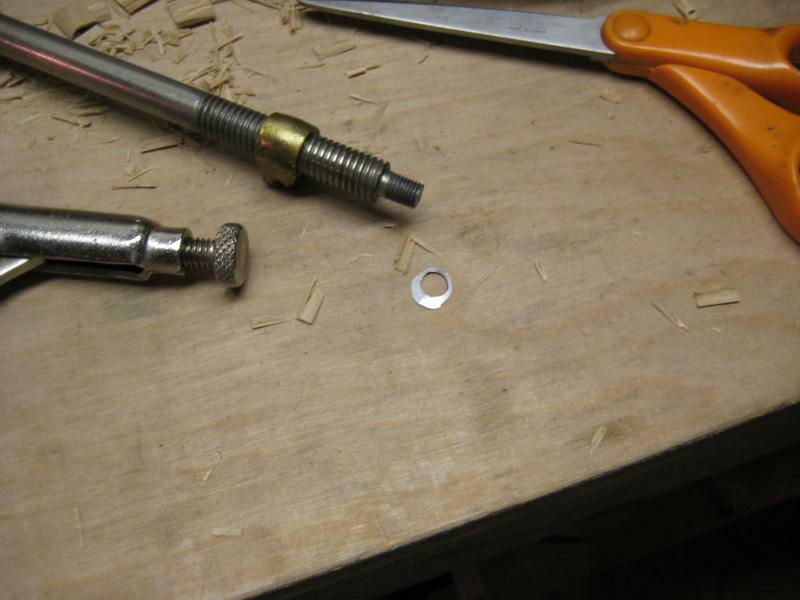 To get the rod ends flat I chucked them up in my drill press and lightly pressed them into a file that was clamped to my drill press table and lubricated with some WD40. I probably committed some machinist sin doing this and it probably wasn’t very good for my drill press, but it worked. Don’t press to hard unless you want to see what gives first when you jam spinning metal into a file. If you have a disc sander or lathe that would probably work better. To attach the rod to the bars I used some JB Weld epoxy. Real welding or tapping holes for screws would be a better solution, I don’t have a welder or any taps. The length stop is used to make repeated length cuts. The parts are broken down below. 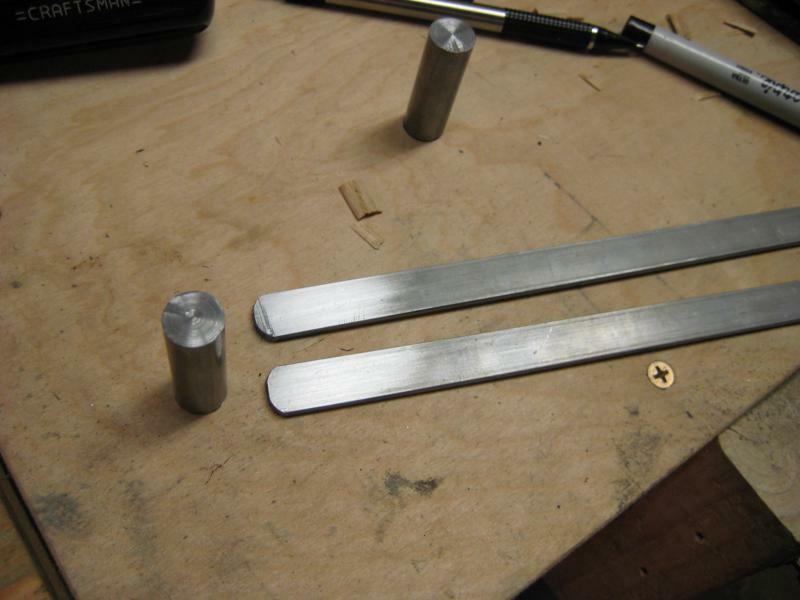 The length stop rods are just 5/16″ steel rods as seen above sticking out of the side. For the 358 I took a 48″ long piece and split it into two. Again see the tooltrip site mentioned above for the recommended length. The coupler I found at a fantastic Portland hardware store called WC Winks. Something similar I’m sure can be bought online from McMaster. At some point I’ll probably replace the screws with a filister head screw so I can use a flat head screwdriver for all adjustments. This is probably the hardest piece to find a replacement for. As the tooltrip website says “Get at the back of the line for an original replacement”. For mine I decided to make my own and used a scrap piece of hardwood, some threaded screw inserts and thumb screws. 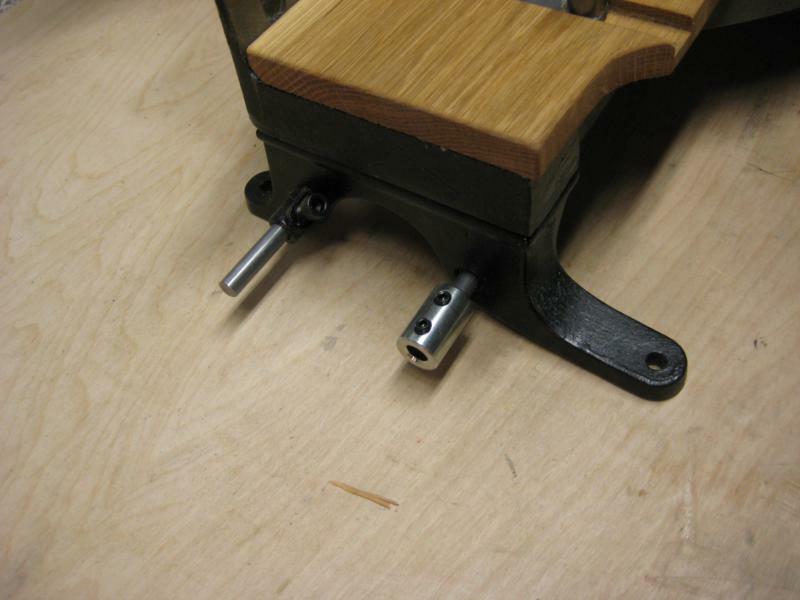 For pieces that are too short to get to the edge of the frame both rods are used in the stand and the workpiece is butted up against the top rod. 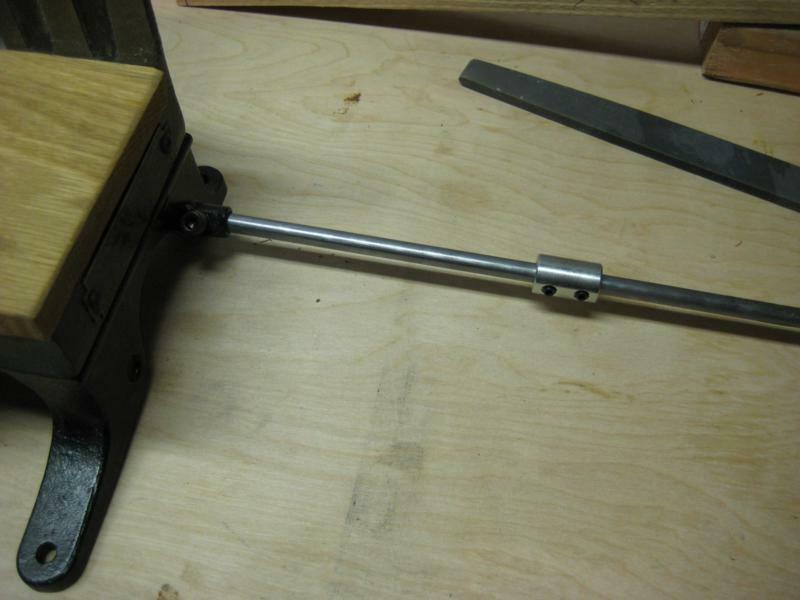 For medium length pieces the workpiece is simply slid over to the length stop stand. For long pieces the two rods are connected with the rod coupler and the length stop is used in the same manner as above. When I re-assembled everything one of the uprights was a little wobbly and I couldn’t tighten it all the way or the top connector pieces wouldn’t line up correctly. To fix this I made a tiny washer out of a pop can using scissors and a hole punch. That was a superb restore Brendan. I especially like that you meticulously cataloged the missing parts and showed your process for making them. That’s going to be a big help when I find my own vintage miter box. 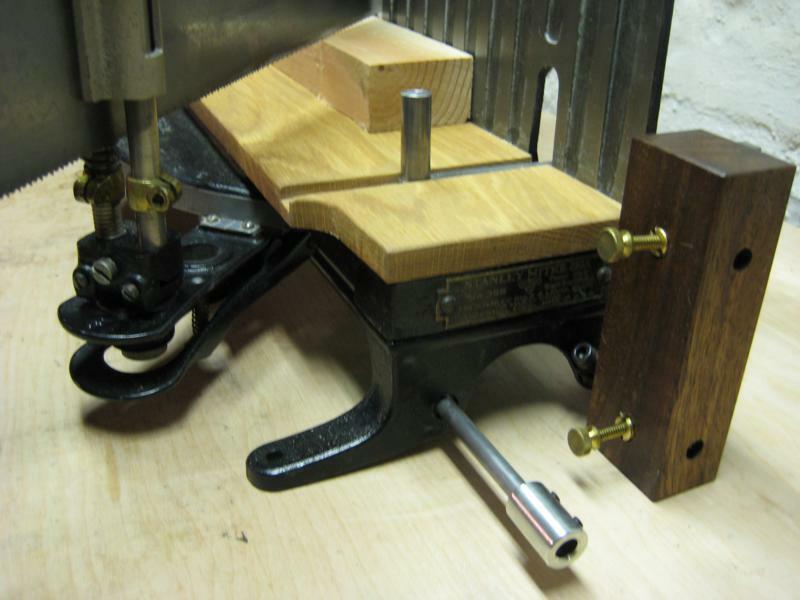 I had to fashion a “washer” for a lateral adjustment piece on a Stanley Bailey #18 block plane. (http://lumberjocks.com/planepassion/blog/25362) I cataloged it and didn’t think much of it at the time but the feedback I got suggested to me that a lot of woodworkers/restorers have to fashion parts for old tools. So…how does she cut? How would you describe the feel of using the tool? Wow! Some one just directed me to your site because I just picked up a mitre box and saw and was contemplating how to restore it. Thanks so much for you post. It will help a ton in working on mine. I doubt mine will look nearly as nice. 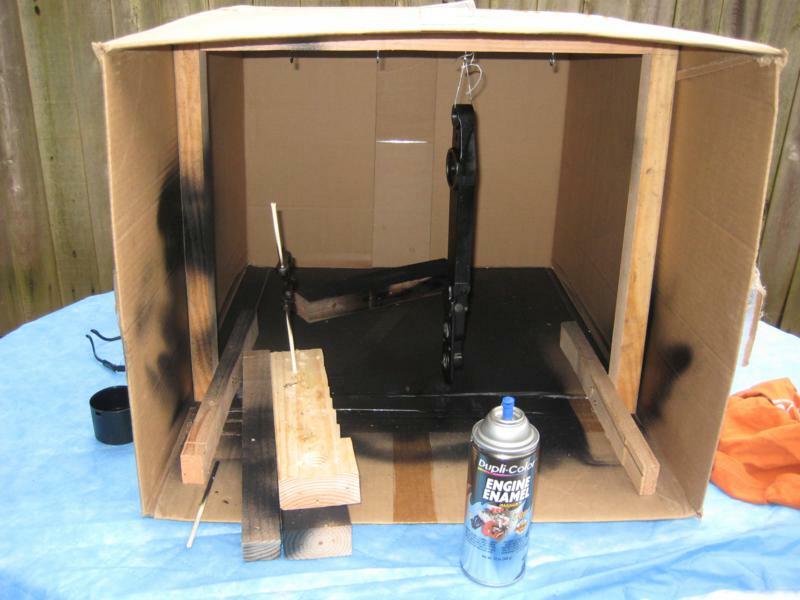 Restoring a similar box and saw. Thanks for all the info. 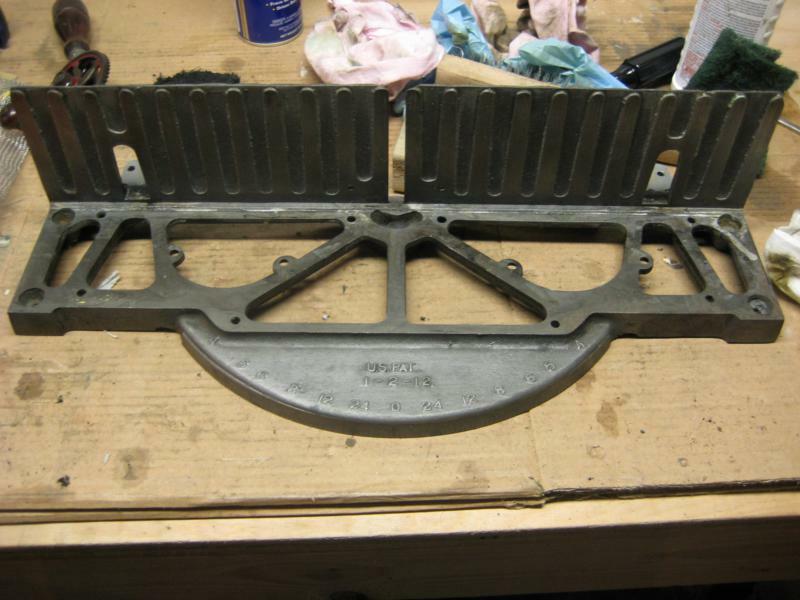 Hi – Enjoyed the article about restoring a Stanley Model 358 Mitre Box. 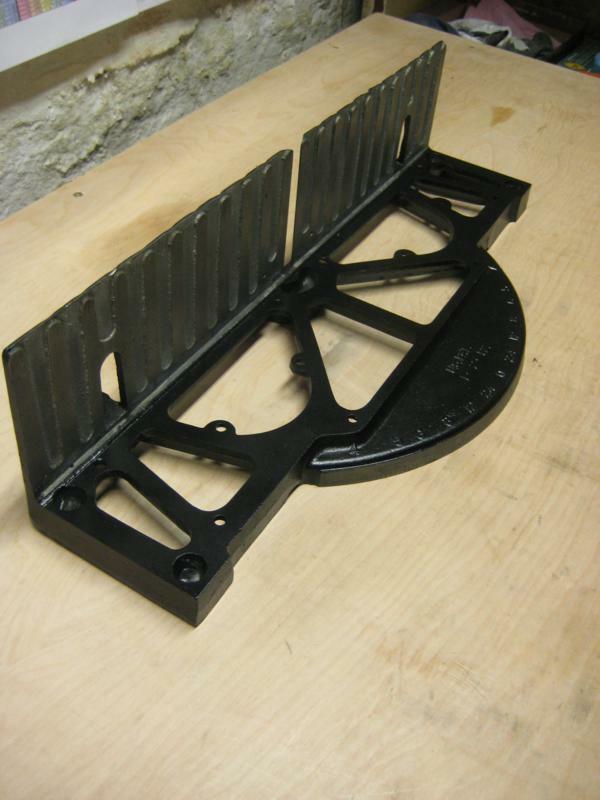 I recently found a Model 2358 Mitre Box, without saw and missing the 3 of the 4 roller saw guides. I have been unable to find a source for their replacement, and figure I’ll need to improvise. Any thoughts? Can anyone advise me on what back saw fits this model, either original Stanley models or alternate brands? Many thanks! Henry Disston & Sons of Philadelphia. Thanks for the teaching. 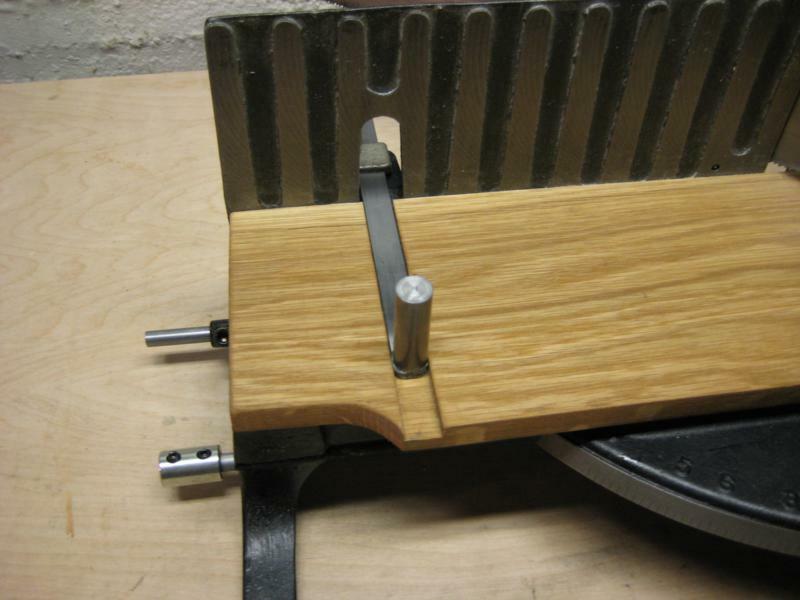 Have you thoughts om comparing the Stanley 358 with a Millers Fall Langdon miter box? I just acquired the MF miter box and have the Stanley 358 and wondered about a comparison. I also just found a Stanley model 2358. It came with a saw, but it is too short to make any cuts. Any help on finding hand miter saws that fit this model? 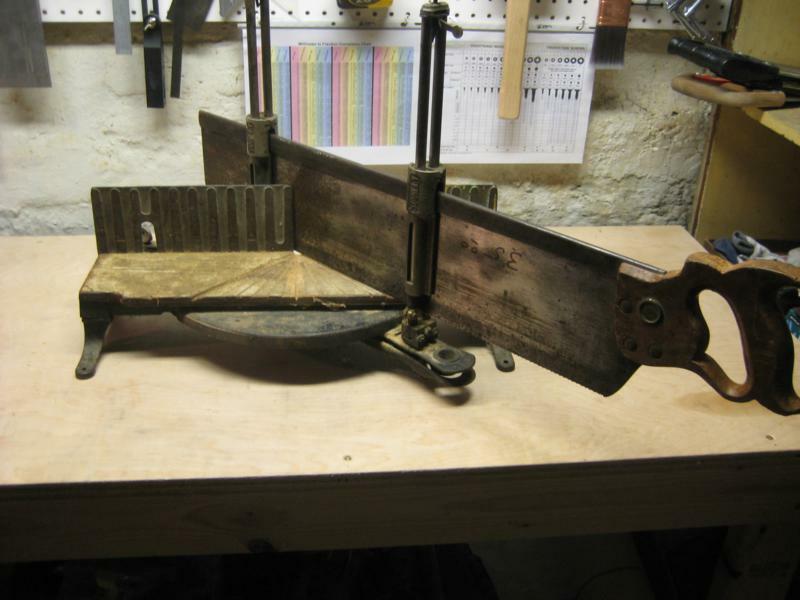 I really enjoyed reading your article on your Stanley Mitre box restoration. It really looks nice. 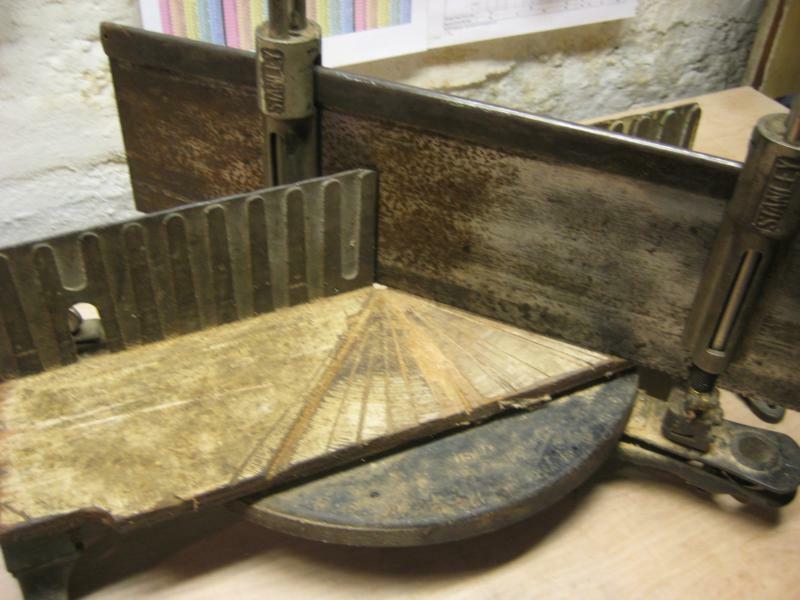 I have a Stanely Model 360A that I have restored and have the 34″ Disston (30″ blade) out for sharpening now. I can’t wait to get it all back together. What did you do to get the blade in such awesome condition? My Disston, although in decent shape, has a good patina that I would like to take off. It’s not “Mission Critical” but after seeing your before and after photos, I’m jealous. If there was something you did that did not effect the japaning it would be great if you would share. I used a process similar to http://www.wkfinetools.com/trestore/saw/sawblade-bobstu/restsawblade-1.asp for removing the rust on the blade. Great job and I just finished with the restoration process too. I got mine from my brother-in-law and it was a rusty mess but appreciate the instructions on the stops that I will have to rebuild. My two questions are where did you find the 10-28 screws for the stops. Most important how do you true up the final holder. I have been tweaking the parts but mine still binds a little and wondered what adjustment do you start with. Brendan I got a Stanley 360 and cleaned it up but not as shiny as yours. Mine came with some springs at the ends of saw guides. With those springs I cannot cut to full depth. Maybe I messed something up when putting the thing back. I don’t see the springs in your pics!!!! 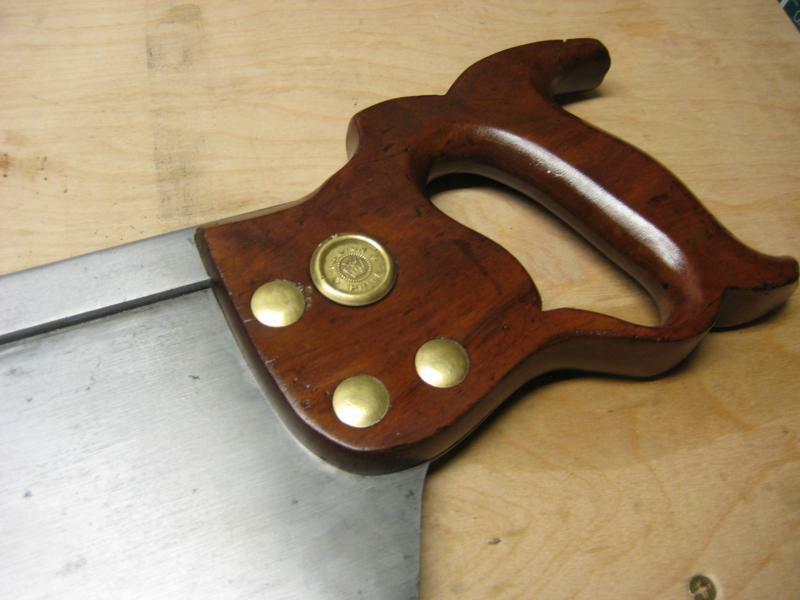 In looking at your forum I noticed someone is looking to find what saws fit the Stanley 2358 mitre, there were two saws for this model one bigger, one smaller, the 2358 is for 28” X 5” saw as the 258 has a 26” X 4” saw, both saws were 9 point teeth, the difference is the 2358 has a bigger cut capacity than its brother the 258. I own both brand new never out of the box. My father was a engineer for Stanley for 40 years in the original Stanley plant in shaftsbury v,t. The plant still stands in town and was the very first tool shop built in Vermont and we are working to restore the factory to a museum. It still has all original belt driven machinery used when they operated as the eagle square plant manufacturing carpenter squares. I’m so excited for this series of posts (and I would LOVE to see videos)! Once upon a time I used to know how to use all this stuff, but then I moved out of my parent’s home and no longer had access to all my dad’s cool tools. I ended up marrying a military man and we’ve moved 10 times in 14 years, so I never had the time (or location) for the tools I’ve always wanted. 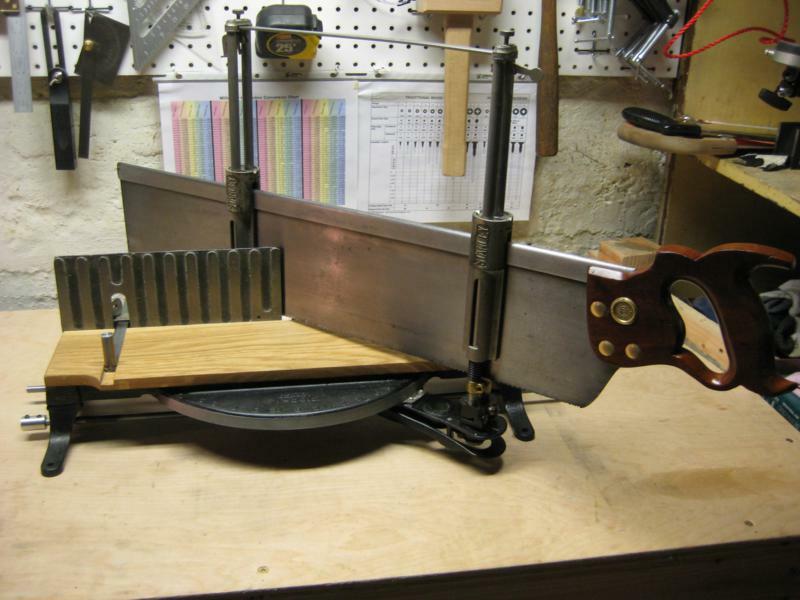 I am refurbishing a similar miter saw. I need to remove the degree indicator plate before de-rusting the base.